Back at Google I/O, Google for the first time previewed the next version of Android and nicknamed it “Android L”. Since then people have been looking for “L” named desserts left and right to try and guess the new name. The wait is finally over though as the new version of Android is 5.0 Lollipop. 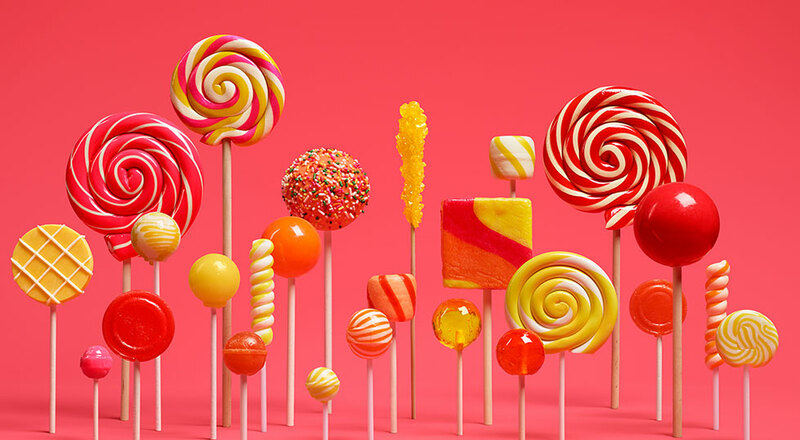 Lollipop is the most comprehensive change to Android since 4.0 Ice Cream Sandwich and brings with it a visual overhaul in Material Design, 64 bit support and a slew of other changes. Material Design is move by Google to unify the look and feel of different components of Android and provide a much more fluid and natural user experience using clever animations. A constant 60 frames per second animation speed ensures fluidity and a lack of unsightly stutters. This is also the first time Google is changing up system staples such as the look of the home, recent apps and back keys. Lollipop is essentially about refinement and it is clearly visible through nearly every aspect of the new OS. Google this time around has focused its efforts into small yet significant changes rather than massive ones to make Android work lawlessly. Changes such as the status bar transforming colour to match the app or the 60 fps animation speed highlight this new focus. Google also took the opportunity to add more intuitive features such as heads up notifications (similar to that of Cyanogenmod) that prevent notifications or incoming calls from interrupting the user from the current task at hand. The recent apps menu no longer displays applications, rather documents. For example if you are running Chrome and have several tabs open, each tab will be displayed as a separate card therefore allowing one application to have multiple cards hence promoting quicker multi tasking. Lollipop comes built in with a power saving feature that can offer up to 90 minutes of extra use. When Lollipop is made available for download, we will go through the OS in more detail. Android 5.0 Lollipop will be made available to the Nexus 4, Nexus 5, Nexus 7, Nexus 10 and other Google Play Edition devices within the coming weeks. Stay tuned for more updates.